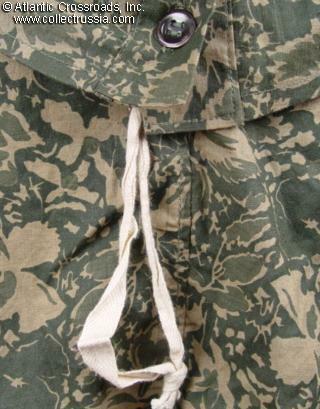 Leaf Pattern camouflage smock in unissued condition. 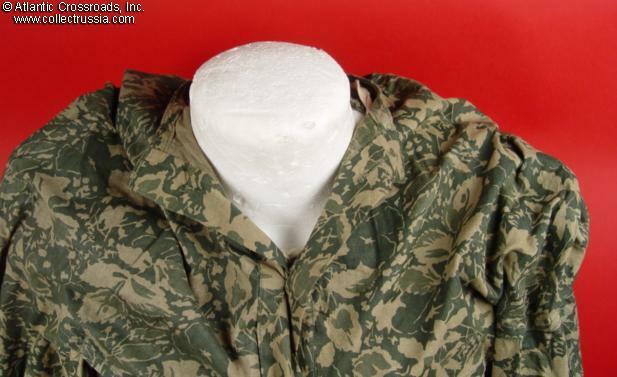 Leaf Pattern camouflage smock in unissued condition. 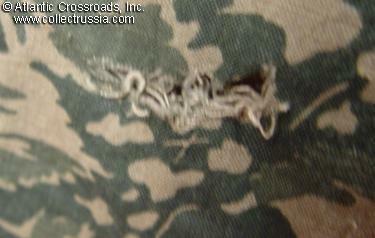 Colors are bold and clear, garment is very clean and unworn. Only signs of age are two small (less than 1") tears. 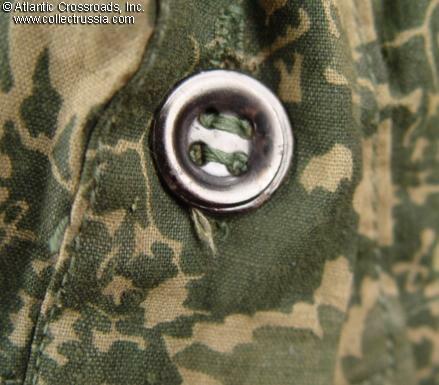 Large size and generous cut will easily fit over a size 40 uniform tunic. 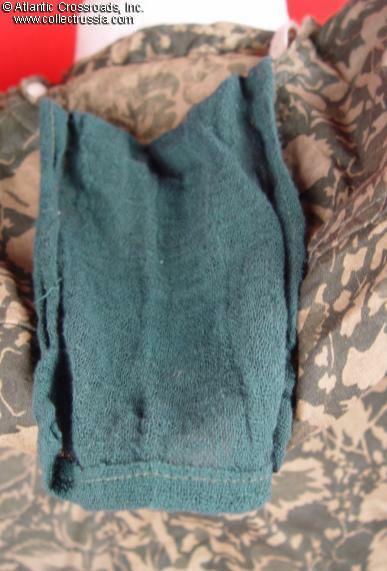 Includes the green face veil. 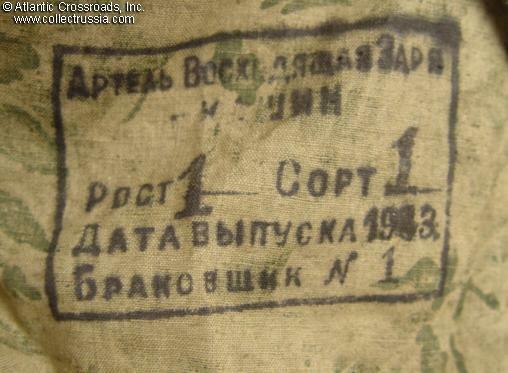 Interior is marked with two stamps. The larger has a 1943 manufacture date. 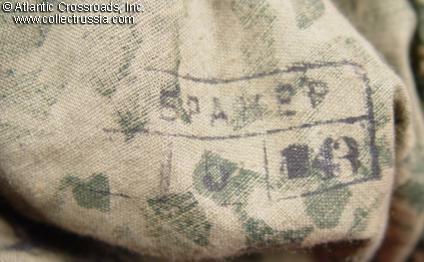 However, since these smocks were made and issued into the postwar era, there is a definite possibility that the stamp is bogus. 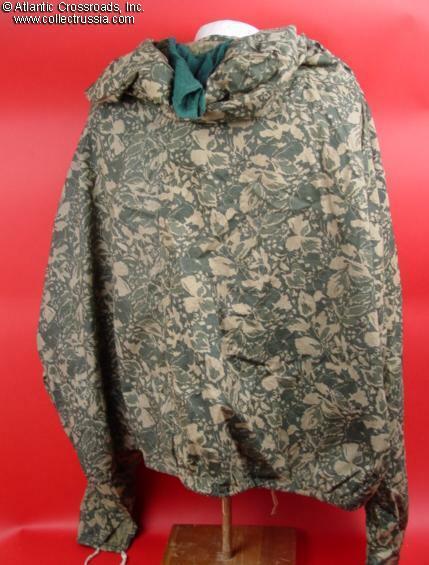 Price reflects a postwar vintage smock. 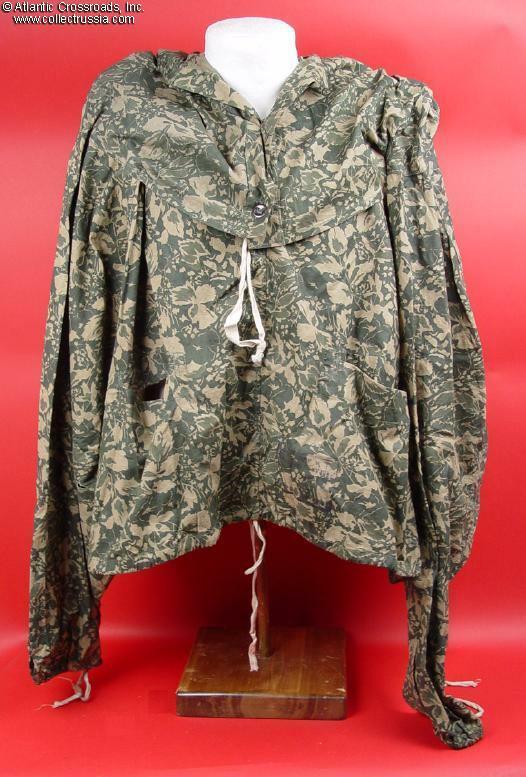 /See "Camouflage Uniforms of the Soviet Union, 1937 to the Present", by Desmond, page 81 and "Red Army Uniforms 1918 -1945 in Color Photographs", by Shalito et al, page 136/.